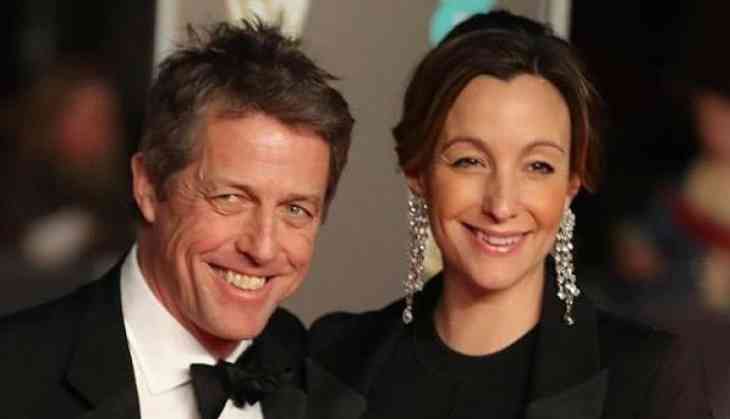 Hugh Grant, UK's most eligible bachelors is set to marry longtime Swedish girlfriend Anna Eberstein. Girlfriend Anna, gave birth to her first child with Grant, a son, in 2012. Grant has never married, he has been involved in several relationships, including with Elizabeth Hurley who he dated for 13 years before they split in 2000. He’s also been linked to socialite Jemima Khan. However, he didn't comment anything on the engagement, a photograph of the couple’s wedding banns — a notice publicly displayed in the register office for 28 days that includes details of where you intend to get married — posted in several British newspapers over the weekend. The couple dated for over six years and have a 2-year-old daughter, a son named John Mungo, 5 and a third baby who is expected to arrive this spring. The Paddington 2 star is also dad to son Felix Chang, 5, and daughter Tabitha Xaio Xi, 6 — his children with ex Tinglan Hong. Girlfriend Anna is the director of sock company Ace&Me, which aims “to bring a more edgy style to the traditional Swedish slipper sock,” according to its website. She has also worked as a promotions producer for marketing and sales at ESPN. Hugh Grant has starred in films including Four Weddings and a Funeral, Notting Hill, and Paddington 2. He is also starring in the new BBC drama A Very English Scandal, playing disgraced MP Jeremy Thorpe.